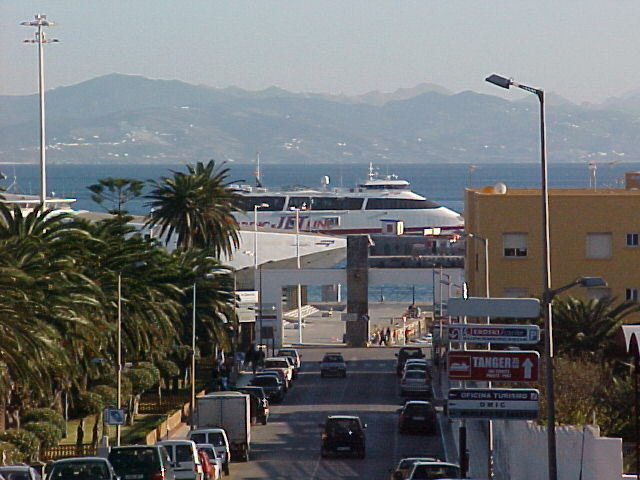 The road leading down to the pier for a boat from Tarifa, Spain to Tangier Morocco! Surfer boys, playing in the road for the camera. This is a typical surf van set up and he caught me taking the photo so helped with the photo. 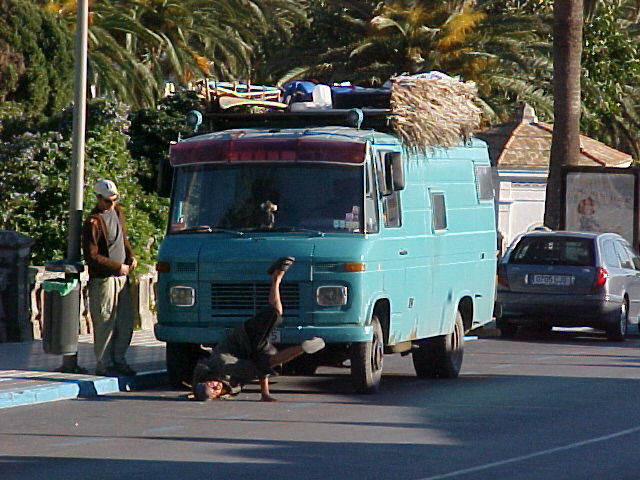 Tarifa is a go place to buy a van. Gracias por todo Tarifa España. Thank you Tarifa Spain for all!